NEW YORK, NY (August 17, 2017) – Ad Council and the Natural Resources Defense Council today launched the second phase of their Save The Food national public service campaign, aimed at combatting America’s food waste problem from its largest source—consumers. In doing so, they seek to reduce the massive amount of money, water and energy that is wasted along with it. In the U.S., up to 40 percent of all food goes uneaten each year, at an annual cost of $218 billion. Consumers are responsible for 43 percent of this waste—more than restaurants, grocery stores or any other single part of the supply chain. It’s a problem that costs the average family of four at least $1,500 per year. To raise awareness about the problem, the groups produced a PSA with renowned chef and co-owner of Blue Hill and Blue Hill at Stone Barns, Dan Barber. The video features the chef and his team surprising two foodies with hand-delivered delicious meals made from scraps that would otherwise never have been eaten. Watch it here: https://www.youtube.com/watch?v=t2MkLWbe7B0. SapientRazorfish, the agency of record for the campaign, developed the new Save The Food Skill now available on Alexa devices. The skill educates consumers about simple ways to limit food waste in their own homes, from advice on smarter food storage to tips for evaluating whether something is still safe to eat, and tricks to revive food that’s past its prime. Watch a demo here: https://www.youtube.com/watch?v=2k4FJySKUQg. NRDC’s groundbreaking 2012 report, Wasted, sparked a national conversation on food waste—for the first time shining a spotlight on the fact that up to 40 percent of the food in the U.S. is thrown away uneaten. 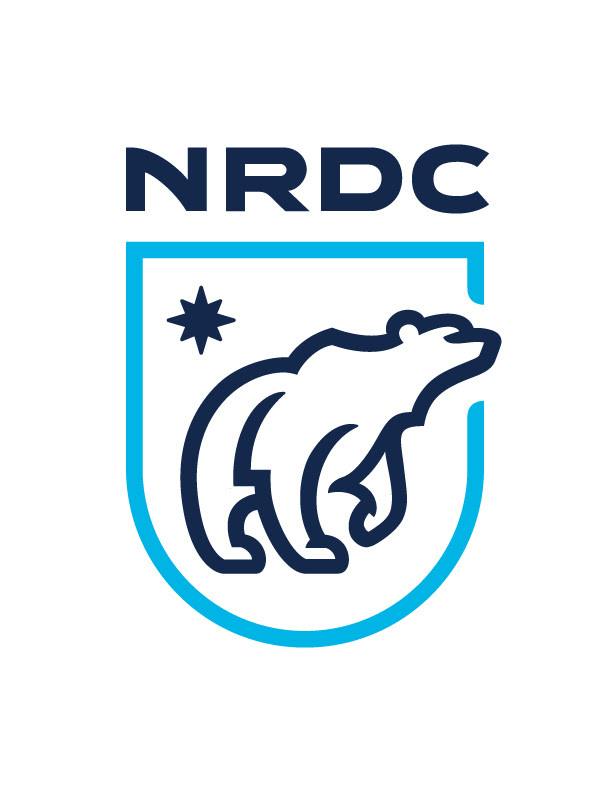 In conjunction with the second phase of the campaign, NRDC is releasing a second edition of the report that provides updated statistics on the environmental, economic and social impacts, analyzes areas of progress at the government, business and consumer levels in the last five years, and offers policy solutions for combating the problem. Among other things, it reveals that America throws out more than 400 pounds of food per person per year. If we could redirect just one-third of the food that we now toss to people in need, it could feed 50 million people, far more than the unmet food needs across the country. Wasted food also squanders 21 percent of the water used by the U.S. agricultural industry, generates climate change pollution equivalent to 37 million cars per year, and accounts for 21 percent of the material that goes into landfills. The report was written by Dana Gunders, NRDC senior scientist and author of the Waste-Free Kitchen Handbook, with Jonathan Bloom, author of American Wasteland and creator of WastedFood.com. Save The Food’s success to date has been closely tracked through a study commissioned by the Ad Council. Data shows awareness is growing nationwide, and particularly among the campaign’s target audiences: moms and millennials. It is also shows the campaign is sparking conversation and action around the issue. Adults who recognized the PSAs more often said they sought information about ways to waste less food (59 percent) than those who did not recognize the PSAs (17 percent). Adults who recognized the campaign’s PSAs more often said they discussed or shared info about wasting less food (64 percent) than those who did not recognize the PSAs (33 percent). Approximately 54 percent of adults now strongly agree that food waste is a big problem in the United States – up from 51 percent prior to launch. Recognition of the PSA among moms grew from 20 percent in April 2016 to 24 percent in March 2017. Among millennials recognition is up from 31 percent in April 2016 to 36 percent by March 2017. SapientRazorfish has developed pro bono all the creative campaign resources, including the Alexa Skill and video with Dan Barber. Since launch in April 2016, the campaign has received over $44 million in donated media. "Our partnership with the Ad Council and NRDC has allowed us to do exciting things such as collaborating with celebrated chef Dan Barber and leveraging the latest innovations and the technology of Alexa, to help people with the tools they need to prevent food waste,” said Senior Client Partner at SapientRazorfish David Serrano. “We look forward to embarking on more projects that enlighten and motivate consumers." As part of the phase two launch, Save The Food is also partnering with digital content creators, including actress and creator Alyson Stoner and Nora Masour and Ani Esmalian from the channel Modamob, who will serve as ambassadors for the campaign and extend campaign messaging. Each creator will kick off the partnership with a new video on their channels discussing the importance of reducing food waste and encourage followers to do the same. Visit SaveTheFood.com to learn more and find resources on how to reduce food waste. The Ad Council brings together the most creative minds in advertising and media to address the most worthy causes. Its innovative, pro bono social good campaigns raise awareness. They inspire action. They save lives. To learn more, visit www.adcouncil.org, follow the Ad Council’s communities on Facebook and Twitter, and view the creative on YouTube. SapientRazorfish, part of Publicis.Sapient, is a new breed of transformation partner designed to help companies reimagine their business through radical customer centricity. With more than 12,000 people and 70 offices around the globe, our capabilities span growth and business model strategy, new product and service innovation, enterprise digital transformation, IT modernization, omni-channel commerce, customer experience strategy, change management, digital operations, digital innovation, data strategy and advanced analytics.